Proteins are the body's building blocks and important to cell repair. Protein is thought to keep you fuller longer and should be a part of every meal. 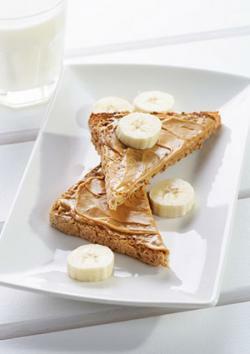 High protein breakfast foods can be a great way to start your day. It's important to eat adequate protein at breakfast. Following are some high protein breakfast foods. Make a smoothie with yogurt and fresh or frozen fruit (1/2 cup yogurt; 1/2 cup fruit, and one cup liquid). For added protein, add a scoop of protein powder; use Greek yogurt or kefir and toss in a handful of spinach or kale and a tablespoon of wheat germ. When there's no time to cook, the following items from your local supermarket are good sources of protein. 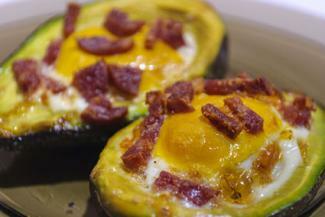 Eggs baked in avocado: This high protein recipe features an egg baked in an avocado half and topped with crumbled bacon. Quinoa: This popular grain is versatile and high in protein. Cook as directed and add almond milk, honey and berries for a fresh take on porridge or layer cooked quinoa in a yogurt parfait. Protein pancake: Fitnessista's protein pancake uses protein powder and oats to make a protein-packed breakfast. These can be made ahead of time and taken on the go. Make-ahead protein muffin: Muffins are great grab-and-go breakfast option that can be made ahead of time. Try this gluten-free chocolate muffin that uses high protein flour or this healthy banana protein muffin from Dashing Dish which uses egg whites, oats and Greek yogurt for protein. Southwestern breakfast burrito: To make this burrito, scramble one whole egg or two egg whites; saute one tablespoon each of diced onion and diced green pepper; place eggs down the center of a warm corn tortilla and top with onion/pepper mixture; sprinkle with one tablespoon shredded cheddar cheese and 1 tablespoon salsa. Roll up tortilla and eat immediately. Southwestern bean breakfast burrito: Prepare the above recipe but substitute half a cup of drained, rinsed and warmed black beans for the scrambled eggs. Tofu scramble: Tofu is very high in protein and a great breakfast option for people who are vegetarian or sensitive to eggs. 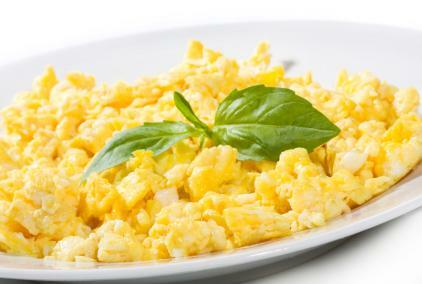 To make a tofu scramble, simply cook crumbled, extra firm tofu as you would scrambled eggs. Add diced tomatoes, green peppers, onions, spinach, kale, and/or shredded cheese and your favorite seasonings. Egg and Canadian bacon sandwich: Cook one egg over easy to desired doneness; heat one slice of Canadian bacon and serve on whole grain toast or a whole grain English muffin. High protein foods can be part of a healthy diet. If you're counting calories, sugar and fat grams, choose low-fat dairy, lean meat options, whole grain breads and use honey or fresh fruit to sweeten cereals or oatmeal instead of white sugar. A high protein breakfast can help provide you with the energy you need to get through a busy day.